It's BACK!!! FRESH 12oz glass bottles Anchor Ginger Root Beer!!! 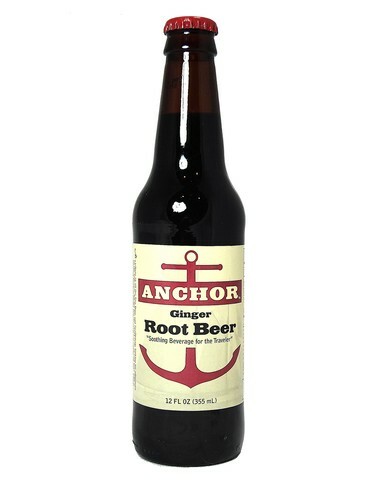 "Soothing Beverage for the Traveler" As a tribute to all the Sea Dogs and Scallywags looking for adventure on the high seas, Anchor has the sweet taste of root beer with a soothing touch of ginger to help keep you sailing all day - Enjoy!